“Our neighborhood is gone. We were right on the Butte Creek canyon with a view so pffft. Clothes on our backs, bag of meds, iphone and ipad. We abandoned the car, and then were picked up by two different drivers. Took 4 hours to go 18 miles on the one open road. I’m fine with the house gone but oh I weep for my Martha, who hid, and we could not find her. The video of us heading down the mountain to Chico does not want to load. I was able to load it in skype. Fire 18,000 acres now. Apparently the entire town is burning. How the fire got from the Pentz side canyon on the east side to the Butte Canyon on the west (Paradise is on a ridge between the teo canyons) is a mystery to me. The video shows where both fires on both sides closed in on Skyway, down to the curb. It got hot there. It was SO good to finally drop below the tree line, out of the darkness and into the fresh air. Our sweet sweet realtor called us, picked us up, and took us to her parents house. We have a private room, bath, and we’re with the kindest people. Last edited by RunningDeer; 17th November 2018 at 15:24. Paula, thank you so much, and I'm bumping this immediately. Thousands have suffered, and there are some heartbreaking stories. But Sierra is one of our own. She has nothing. It's all gone. Please help her. For anyone reading this who's unaware of what's happened, there are a couple of dozen posts on the Here and Now...What's Happening thread, starting with Paul's post #51377, here. Please do read. Sierra and her husband only just made it out, with the clothes on their backs and one of their two beloved cats. Sierra believes their other cat, Martha, probably perished trying to hide in a kitchen cupboard. She posted a video here, taken from the truck as they were fleeing. It's actually daytime, but the sky is as black as night. As is now being reported, 5 people died in their cars trying to get out. The small town of Paradise, which was largely a retirement community, is gone. Her house is almost certainly destroyed. She now has nothing. Please be as generous as you can. Last edited by Bill Ryan; 10th November 2018 at 01:07. I can only imagine what Sierra and her family are going through at their stage of life. I understand it's a hard time of year with winter coming (i.e. heating bills) and the holidays. No amount is too small. I was grateful for the food bank at the local church that provided a couple of bags of groceries. Still to this day that gesture brings tears to my eyes. Your gift is delivered with great big wings. It's the healing and love behind it that keeps on giving even years later. I'm terribly sorry for your loss, Sierra. I can't imagine what it must be like to lose your home. I don't have any money to donate, kind of strapped right now, but if you ever just want someone to talk to or send you cute/funny videos, let me know. I'm glad almost all your family made it out safely. Sierra, I really hope you and your family are all well, and that you are able to find confort in the people arround you, I am at a loss for words but know you are in my thoughts. I cant afford to donate but I did. Last edited by greybeard; 10th November 2018 at 09:05. The thing for me that is so frustrating is that I ACTUALLY WANT TO PHYSICALLY BE THERE and help. My four year old son and I lost about 90% of everything in an apartment fire. It was a week before I began my last semester of college. Being a single mother, apartment insurance didn't fit into the teeny-tiny budget. I was grateful for the local church that provided a couple of bags of groceries. Still to this day that gesture brings tears to my eyes. Having had a home burn to the ground, I want to emphasize what Paula is saying above about the gift that gives years later. I remember, 49 years later a kind teacher who bought and wrapped a pair of pajamas as a gift after my home burned all those years ago. Her name is Mrs. Doolittle. It was a kindness I never forgot. To this day. Edit: If only 20,000 people gave just one dollar. Wouldn't that be something great? Last edited by Valerie Villars; 10th November 2018 at 00:22. Donation sent. I was hearing about this tragedy on the radio today at lunch. My heart goes out to everyone who endured this. Last edited by Bill Ryan; 10th November 2018 at 00:53. Reason: edited very very slightly for clarity. Thank you all We have already raised $1055.00 in just a couple of hours! Wow....I just checked out the video clips above. I cannot imagine losing everything like that. I really hope they find the cat. or 1,000 gave 20$, we are more than 1,000 here on Avalon or one of the eternal onlookers who can give 20$ aren't we? I just contributed wish I could give more. That is just devastating. I can only imagine the terror Sierra and others evacuating the area must have felt, along with the profound loss. This is truly a situation where folks are forced to over again, while still trying to absorb the impact. I just hope Sierra and everybody else caught in these fires has time and resources to push pause for awhile and at some point start rebuilding. A very kind gesture to start this fundraiser. Thanks for doing this! Just donated. So sorry for Sierra and everyone who lost everything in this disaster. 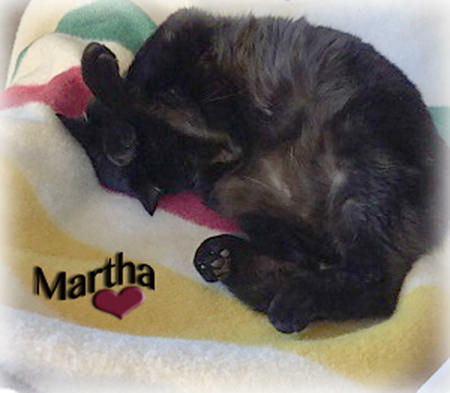 So sorry about Martha the cat. Had to have our 15 year old cat put to sleep earlier in the week, and can still hear him yelling at the door. Just donated a small amount. Would encourage everyone reading this to please do the same. Even if only $1 or $2. I don't think any of us can imagine what you just went through, or what you and your community are facing. Even the fire itself isn't over yet, and ash is raining down. You must be in shock. I'm just so glad that you made it out, made it to safety. Sending big love and a little cash.